A little over a year ago at my previous consulting job, I served as the project director for a very interesting prevention project. The project was for the Bipartisan Policy Center’s (BPC) Health Care Cost Containment Initiative1. BPC had asked us to develop a financial model of the costs and benefits of a diabetes Type 2 prevention program. Our report illustrated how the financial incentives for three different payors (commercial plans, Medicare, and ACOs) vary given different assumptions of who would pay for these prevention services and the age at which individuals would first receive prevention services. We chose to model Type 2 diabetes prevention services given that Type 2 diabetes is reversible and given the tremendous amount that the US spends on Type 2 diabetes2 . What we learned was fascinating. - First, who pays for the diabetes prevention program? - Third, when do the savings kick in? Our report showed that if private commercial plans bear the cost of the diabetes prevention program, they may not reap all the benefits. This is because of two reasons. First, if individuals switch health plans over time, another plan would reap the benefits – allowing for only small benefits for the plan that implemented the prevention program. Second, if you’re 55 or older, there is no incentive for a private commercial plan to cover your participation in a diabetes prevention program. Simply put, by the time the cost savings would kick in (10 years), you would be on Medicare and Medicare, not the plan, would reap the benefits. So, what if Medicare paid private plans to cover these diabetes prevention programs? Perhaps, then, we would all win. Those with private commercial plans would benefit from diabetes prevention services and Medicare would benefit from healthier beneficiaries who save the program money. Our report found that while the Government does recoup savings when it pays for the program, it only did so for those who are near 60. In fact, the Government receives very little savings from a younger population who would stay with the private sector and continue to be with a commercial plan during the timeframe when most of the savings would be realized over a 25-year period. In essence, what we have is a scenario where payors are reluctant to pay for prevention services since they won’t benefit completely. Has our patchwork system of health care created disincentives around prevention? Not quite. Our study found that if patients could join an ACO when they are under 65 (as a commercial ACO) and then stay in the same ACO when they are over 65 (as a Medicare ACO with shared savings between the ACO and Medicare), perhaps the ACO would get the best of both worlds. In this scenario, an ACO could invest in its patients through prevention programs and recoup the benefits, assuming limited plan switching. Investing in prevention appears to be a game of “what’s in it for me?” How do we change it to a “win-win” scenario? The answer is simple. We do so by utilizing new systems like ACOs that allow payors to reap long-term savings. 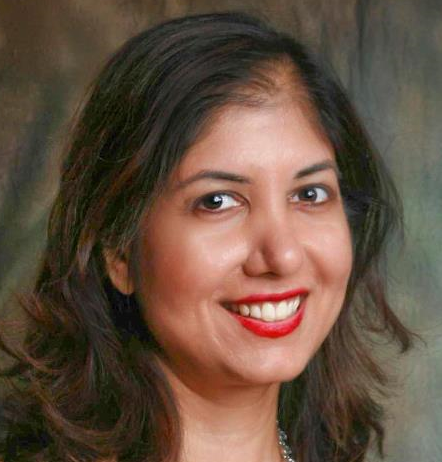 Nalini Pande, Managing Director, Sappho Health Strategies has nearly 20 years of experience in healthcare policy and reform. She has considerable experience in Medicare and Medicaid, prevention, population health, and emerging payment models including accountable care organizations and patient-centered medical homes. Ms. Pande also has strong expertise in dual eligibles and the specific issues facing this unique population. Ms. Pande is a graduate of Harvard Law School and Princeton's Woodrow Wilson School of Public and International Affairs. 2 In Appendix D of our report, we noted a study by Dall and colleagues that estimated the costs associated with Type 2 diabetes as $105 billion for medical costs (along with $54 billion for non-medical costs such as lost work days).